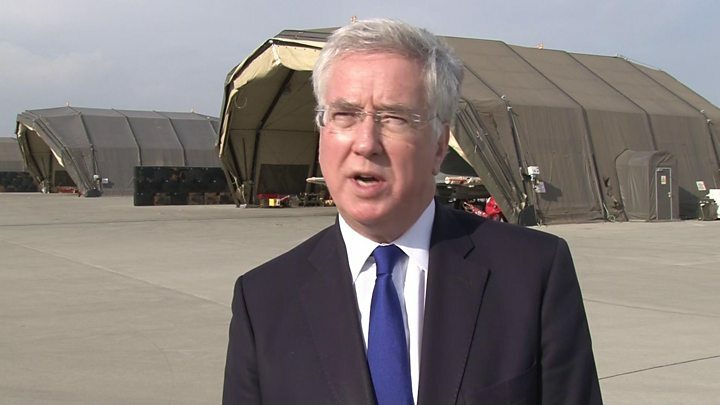 A probe into allegations made against Iraq war veterans will be shut down within months, Defence Secretary Sir Michael Fallon has announced. The Iraq Historic Allegations Team (IHAT) will close in the summer and around 20 remaining cases will be given to the Royal Navy Police, he said. MPs have branded the probe, which has spent £34m but led to no successful prosecutions, an "unmitigated failure". The IHAT was set up in 2010 to examine allegations made by Iraqi civilians. The decision to close the team comes after a public inquiry exposed the behaviour of a human rights lawyer in charge of many of the abuse allegation cases. Phil Shiner, from the now-defunct law firm Public Interest Lawyers, was struck off for misconduct last week. As a result, IHAT's caseload would be reduced from 3,000 to 20 cases by the summer, a Ministry of Defence statement said. "Exposing his [Mr Shiner's] dishonesty means many more claims he made can now be thrown out and the beginning of the end for IHAT," said Sir Michael. "This will be a relief for our soldiers who have had allegations hanging over them for too long. "Now we are taking action to stop such abuse of our legal system from happening again." Earlier on Friday, an MPs' committee called IHAT an "unstoppable self-perpetuating machine, deaf to the concerns of the armed forces" and said it must be shut down. More than 3,500 allegations of abuse had been taken up by the team despite many cases not having any credible evidence, said the Defence Committee report. It blamed the MoD for empowering law firms to bring cases on "an industrial scale" which saw cases rocket from 165 into the thousands - with most generated by two firms, Public Interest Lawyers and Leigh Day. "Those under investigation have suffered unacceptable stress, have had their lives put on hold, and their careers damaged," it added. Conservative MP Johnny Mercer, a former army captain who chairs the committee, said the process had been "horrific" for those involved. "Families torn apart, careers ended, and for what?" he told BBC Radio 4's PM programme. "It should have been shut down a long time ago." The Ministry of Defence had been "extremely slow off the mark", he said, and there were a lot of questions to be answered about how it had been allowed to continue for so long. The committee report said there had been a "catalogue of serious failings" in the way IHAT handled its investigations. Service personnel and veterans had been contacted unannounced and covert surveillance appeared to have been used on serving and retired members of the armed forces, it said. The report added: "IHAT investigators have impersonated police officers in order to gain access to military establishments or threaten arrest. Investigations which had previously been closed down were re-opened on the back of dubious evidence." It said the most telling failure of the unit was the fact there had not been a single prosecution against the UK military. The report went on: "IHAT has operated without any regard to its impact on the UK military which has directly harmed their reputation across the world, and negatively affected the way this country conducts military operations and defends itself." The MoD said the department had done its "utmost" to support those under investigation, which included funding all their legal costs, providing pastoral support and tackling issues in the legal process. It had been unable to shut down IHAT sooner because the investigations had been under scrutiny by the High Court and the International Criminal Court, it added. A Leigh Day spokesman said it had referred 15 cases to IHAT and would continue to represent individuals against the government. The firm went on to say it would defend itself against allegations made by the Solicitors Regulation Authority when they are heard in a tribunal later in the year. The unit has cost the UK taxpayer £34m so far, but costs were predicted to reach nearly £60m had it remained active until 2019. The department also announced the Royal Military Police would drop around 90% of the abuse cases involving British troops who had served in Afghanistan, many which were brought by Leigh Day. Leigh Day said it had notified the MoD of 80 Afghan citizens who said they had been abused or illegally detained and a number involved allegations of unlawful killings.